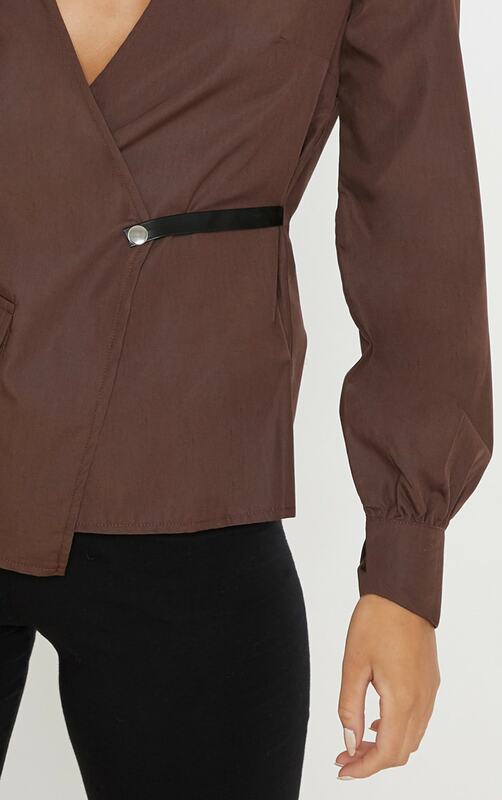 We are obsessing over this hue this season doll and this blouse is perfect for dressing up or down. 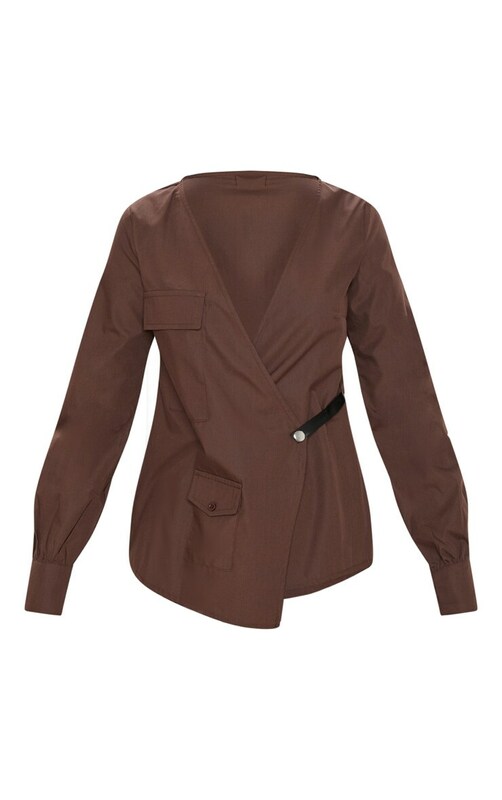 Featuring a chocolate material with a wrap over detail and an oversized fit. Team this with bike shorts and barely-there heels for a night out with your bestie.